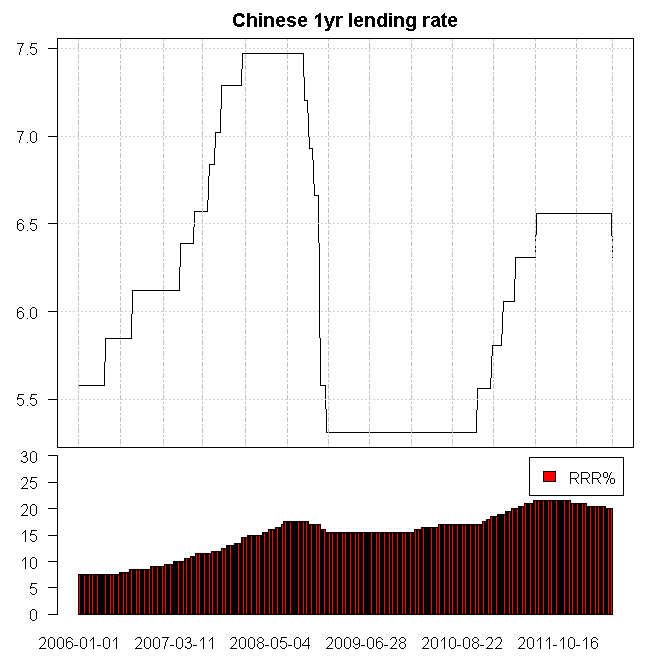 The WSJ reports that China has lowered the 1yr lending rate 25bps to 6.31%. I think that this is very significant – and a material boost to my growth outlook. Relative to my baseline, this will boost Aussie exports, and therefore the AUD. The AUD has rallied somewhat, and bond futures have sold off ~5bps on the news. I had not expected any true Chinese easing until 2013 – i regard the RRR cuts as an endogenous response to the smaller current account surplus.